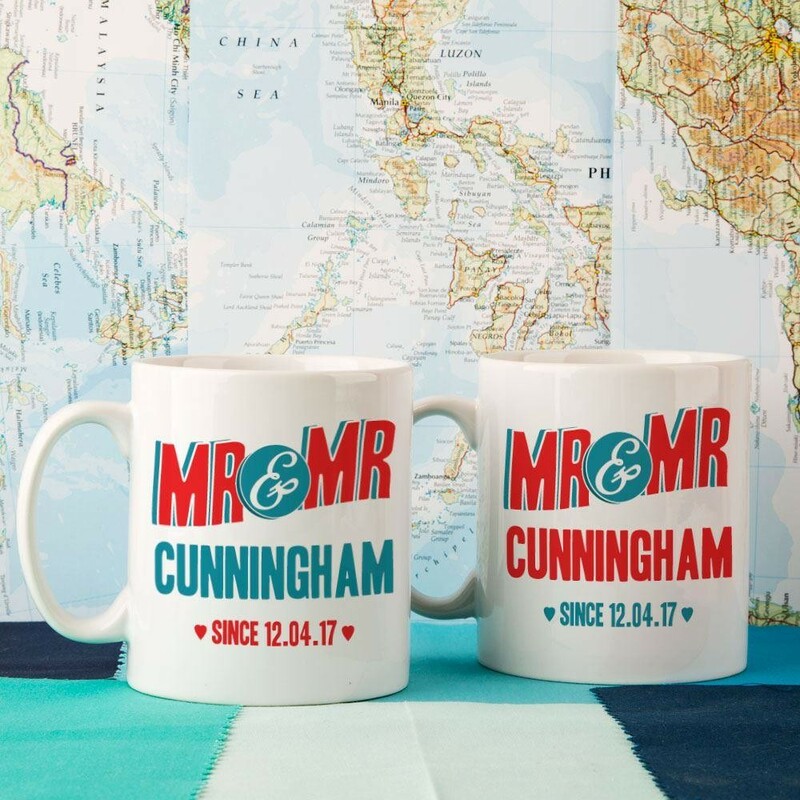 These bright and bold Mr & Mr mugs are a great gift for a happy couple celebrating their wedding or anniversary. 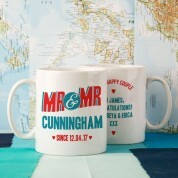 With a bold red & blue design, each mug features the couple's surname and wedding date underneath. 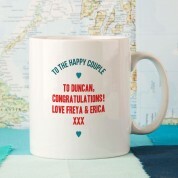 The back of the mug has "to the happy couple" text at the top and is completed with your own personal message. 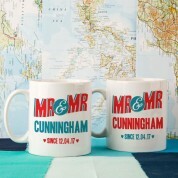 The set is sure to stand out in their home, and the mugs have opposite colours so that they'll always use their own!